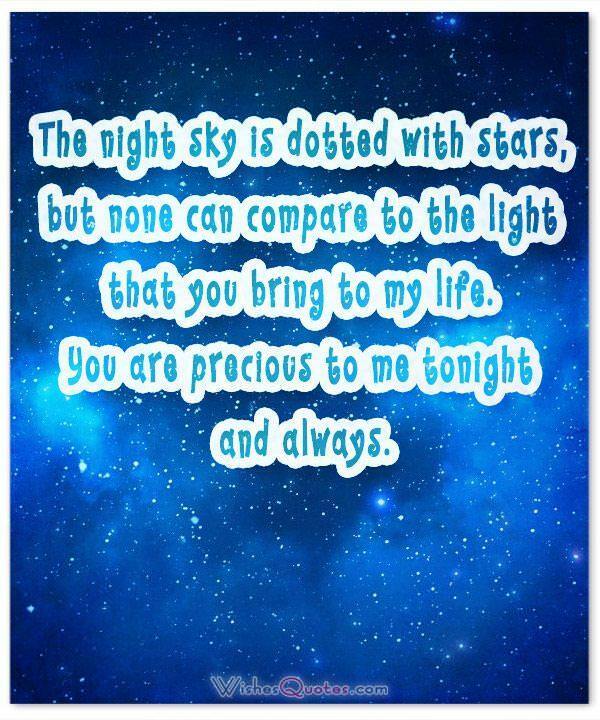 Check out our wonderful collection of romantic and flirty goodnight messages and quotes for your boyfriend or husband. Keeping the romance in your relationship requires significant dramatic moments as well as subtle touches. Private dinner dates and surprise presents are part of the rituals, but little gestures show your commitment to tending to the relationship. 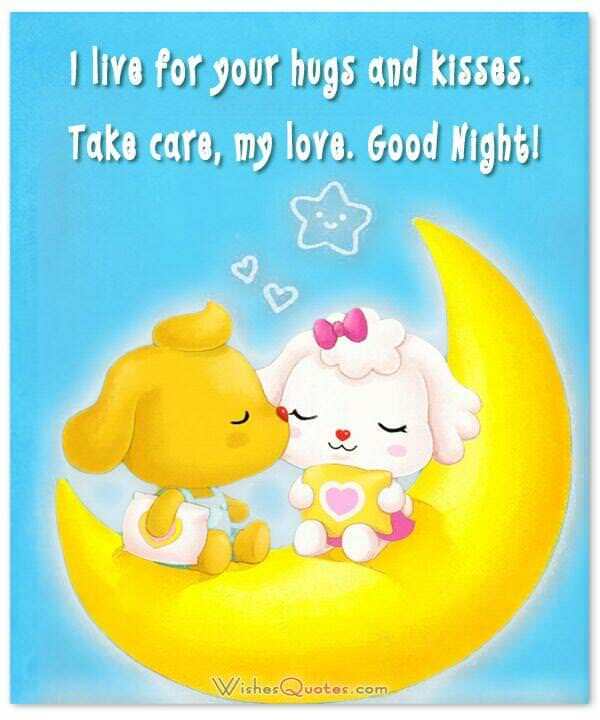 Sending cute flirty messages takes the place of goodnight kisses especially for those who cannot be together physically. Remember to keep it light and stick to positive thoughts. This is not the time to bring up issues as you want to send your partner to dreamland on a pleasant note. Send your messages using whatever channel you normally use with your romantic partner: Twitter, Facebook, private text messages or even Instagram. Consider the time differences between your location and his because waking him up with an alert that signals he has messages waiting may have the opposite effect of trying to give him a good send-off to sleep. Τhe night sky is dotted with stars, but none can compare to the light that you bring to my life. You are precious to me tonight and always. On a cold night such as tonight, I want something big, warm and fuzzy. Don’t get any strange ideas. I just want a big hug from you. Goodnight, love. I close my eyes and feel the warmth of your embrace although we are many miles apart. I wish we could be together tonight. I’m standing here with the evening breezes blowing my hair all around. I am imagining your kisses warming me up for a peaceful night. Skin to skin – that is how our nights should be. Perhaps, soon? Goodnight, my dear. Every handsome guy deserves a kiss from a beautiful girl. So promise me that you will meet me in my dreams so I can give you as many as you want. Goodnight. Every time I say goodnight, it hurts me a little, because it means that I won’t be able to talk to you, even if it is for a few hours. So….can’t wait to see you again. No matter how many times I try to fall asleep, the absence of your scent, your warmth, your aura, is evident, because the room feels empty without you. So let this night go by fast, so I can see you again. Goodnight. As the day turns to night, and our conversation starts, the night goes by without us even understanding it. As the clock turns into hours that prepare the suns arrival, is it really appropriate to say goodnight, when our conversations end in the morning? So… till we meet again, I love you. The best part about being home is spending all night cuddled up with you. Please be here soon. Goodnight, love. If I close my eyes tight enough, I can feel your gentle touch all over me. You make me feel alive. But for now, goodnight and sleep tight. I live for your hugs and kisses. Take care, my love. Your scent is on my pillow, and I love it. Sleep well, my dearest. I wish I could be with you tonight. Pleasant dreams, my love. Dream of me. You are brave and strong in so many ways, and I am so lucky to have you. Sleep tight, my warrior. When I’m feeling blue like tonight, I think of all the happy times we’ve shared. You have been so good to me. It always feels good to be in your arms. On nights when we are apart, I wrap myself in your loving embrace if only in my dreams. Laying in the bed never felt so cold before, and thing is, your strong loving arms are not here to keep me warm. I can’t wait to see you tomorrow. Goodnight. I miss you most when the night is deep, dark and quiet. You are the light that guides me out of my troubles. You are my superhero. Falling asleep never has been so rough without your loving arms wrapped around me to keep me warm. Can’t wait to see you. Goodnight. Alone in the dark, you are all that occupies my thoughts. Don’t you wish you could read my mind? Wink-wink. Star light, star bright, you’re the only star in my thoughts tonight. I know it hasn’t been long since we last saw each other. And no matter how much I miss you, I know I’m going to see you soon in my dreams. 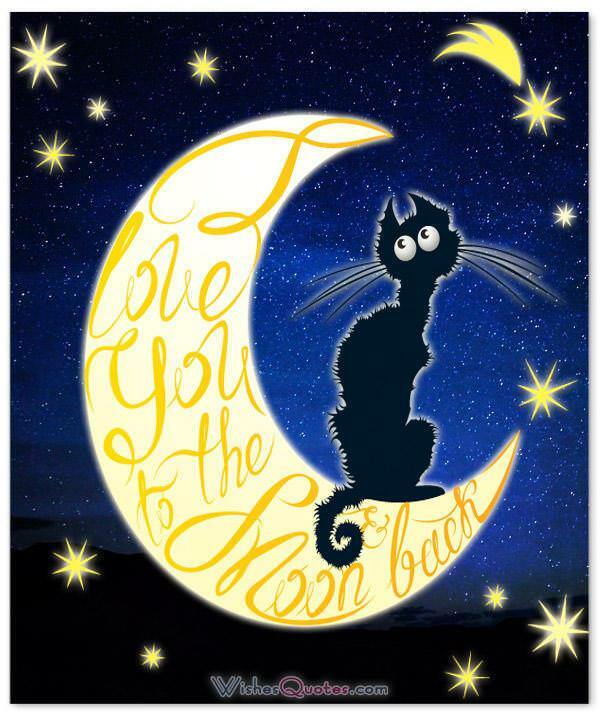 So goodnight, and see you soon my love. I wish I may, I wish I might be wrapped in your arms so tight. Hands on your heart and eyes shut tight, dream of me tonight. You and me, we are one. Now and forever. Goodnight dearest. My heart is longing for the day when we can be together again. For now, goodnight. I fall asleep thinking of the wonderful ways you bring me to life. I wish you could be here to kiss me awake like Prince Charming to his Sleeping Beauty. If life were a film, I would fast forward to only those parts where we could be together. Every part of me misses you. Take care and goodnight. Tonight, I will fall asleep while holding hands with you in my dreams. Sweet sleep, my dearest. A thousand miles between us, and yet, I feel the warmth of your body beside me. Aaah… the power of dreams. In the dark, I am calling your name. Sleep well, and may we be together soon. Goodnight, sleep tight. I have you in my dreams all night. My heart beats for you and only you. You are the best thing that’s happened to me. Goodnight, my hero. Look at the stars and call my name. Look at the moon and blow me kisses. Soon the sunrise will overcome the darkness and the loneliness of being without you. I think of you before I sleep. I think of you as soon as I awake. You have shown me so much happiness. Goodnight. I can’t sleep until I can tell you that you are the greatest, biggest and straightest hero in my life. There is so much I wish to tell you, but let me save the stories for when we are together. Goodnight! There’s someone thinking of you tonight. I hope it’s not keeping you up. With all the love I have – sleep tight.